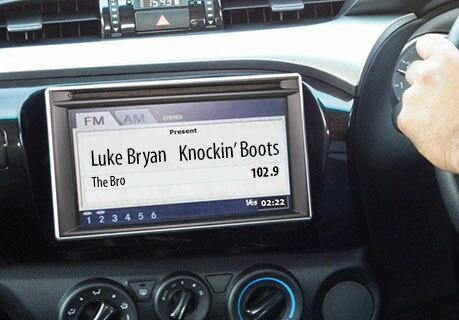 LAFAYETTE, LA —Local mainstream country radio station 102.9 WBRO (“The Bro”) announced Thursday a new programming direction wherein its radio hosts would be instructed to select from a list of twelve different songs, up from the usual eleven—which was already 3 songs higher than the industry average. “After much research, we’ve decided to add Maren Morris’ ‘Girl’ to the rotation. We know we’ll get some push-back here, but we believe the numbers make sense and also there was a company directive that forces us to add one woman to the playlist,” associate program director Jess Staten said in a statement Thursday. According to Staten, the move was part of a broader initiative to challenge what was possible in the mainstream country radio arena, and to inject a new level of variety into the station’s already adventurous eleven-song playlist. “I hope this gets all the SJW’s and feminists off our backs” he added. This story blatantly plagiarized and adapted from this Babylon Bee story.